Reading Kingdom is more than just a phonics program. Reading Kingdom is an online program that teaches children (ages 4 to 10) the skills needed for reading and writing success. Created by Dr. Marion Blank, one of the world's top experts in literacy, the reading system is beloved by parents and has helped thousands of kids to learn to read. It helps in areas of reading, writing, recognition, mouse and keyboard skills. The program is unique in that it customizes itself to the skills and abilities of each child. Because of this, no child will have the same experience when going through the program. This prevents a child from becoming bored with material that is too easy or frustrated with material that is too advanced. Because of this some sections of the program may be skipped and others may require more time. Naturally teachers and parents want to understand what the elements of the program are and approximately how long a child will spend working on any given portion of the program. This brief document is designed to answer those questions. When the child completes the first level, they move on to the next level until they master it. Each area consists of 4 levels that can take from 4-6 weeks. Printable worksheets can be downloaded for free. 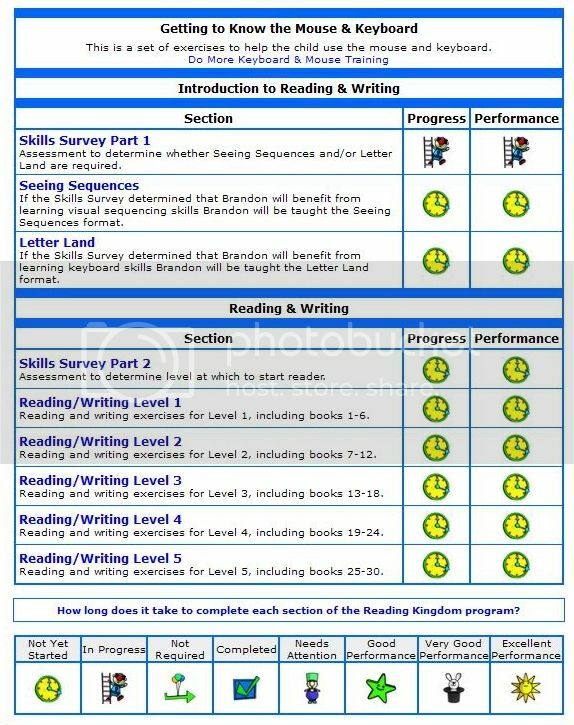 Aside from learning in preschool, I am helping little Brandon get a head start with phonics and also teaching him learn at home with Reading Kingdom. He can't really read yet, but I know he's trying. What we both like about the program that first caught our eyes were the cute, animated illustrations. Brandon recognizes and remembers the little owl wearing reading glasses and he asks me to set it up for him to play. Reading Kingdom makes learning fun and it's like a game for Brandon. This optional portion of the program develops smooth handling of the keyboard and mouse for children who are not yet adept with these devices. If this is needed, it is important that it be done before beginning the program. 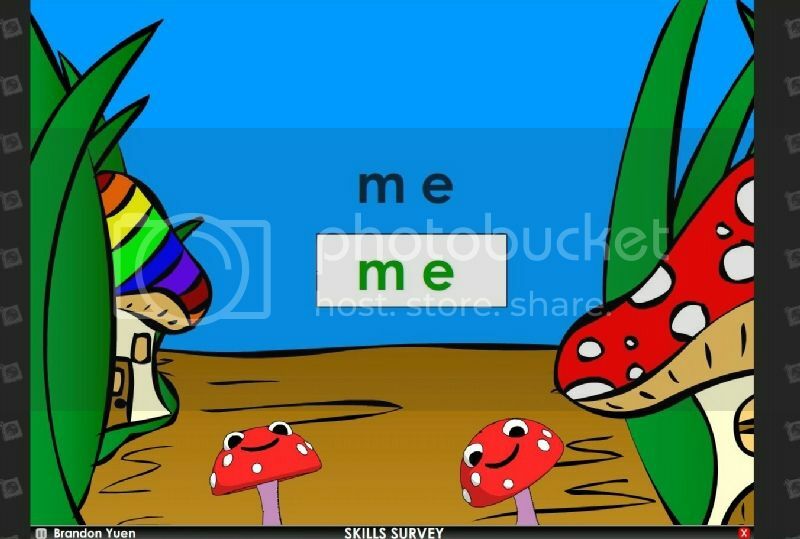 With the assistance of an adult, a child uses the keyboard to click on letters and the mouse to click on pictures. At his level, little Brandon is still learning to differentiate the capital letters and small letters. Since most keyboards show only the capital letters, the online program would assist by popping up a virtual keyboard on the screen to show where it is located. I think that's a great idea. The six skills to help your child read: sequencing, motor skills, sounds, meaning, grammar, and comprehension. In fact, the Reading Kingdom is the only system that teaches these six skills. Brandon's current progress: He's come a long way. Little Brandon is starting to pronounce his words/letters properly, recognizing letters a lot more quicker, and getting used to the computer keyboard. Overall, he just loves learning and playing (especially on my computer now). This is such an excellent online learning & reading program I've tried. Sign up for a FREE 30-day trial, add a reader account, and try it out. The Reading Kingdom program will take care of the rest. Disclosure: I was provided a 1-year subscription in exchange for my review. Any expressed opinions are my own and personal thoughts. No other compensation was given.